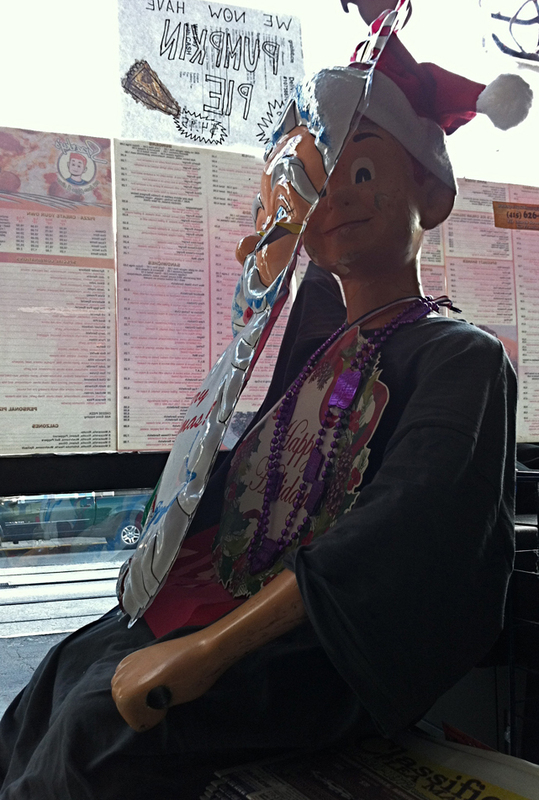 … albeit the odd one Santa and Mrs. Claus rarely let out of the house, let alone in a diner on Church Street in San Francisco. This entry was posted in A-Z Archive, Christmas, Humor, Photography, San Francisco, Stephen Kelly Photography and tagged A-Z Archive, California, Christmas, Church Street, Diner, Mask, Photography, San Francisco, Santa, Santa Claus, Santa's Son, Stephen Kelly Photography. Bookmark the permalink. Hi Judy … glad you like it. There’s a lot more going on here than meets the eye! He was there for the pumpkin pie! … or the Blue Plate Special! hehe … the one they don’t talk about! …. santa lives in Sweden !!!!!! *laughter – but of course he can have .. sons all over the world. *laughter – just wonder when he got the time. hahaha! hmmmm … does mrs. claus really know what santa’s up to while he’s out sledding around the world? scandal!!! I’m sure Mrs. Claus knows what he are up to. hiya madhu … well, it must be something because he looks mighty happy! Santa Claus already there in November, couldn’t wait till December? hehe … Hi frizz! I guess I jumped the gun a bit with the christmas theme, but if retailers can blow right past thanksgiving and start advertising right after halloween, then so can I!! !